The starboard navigation light is assembled. 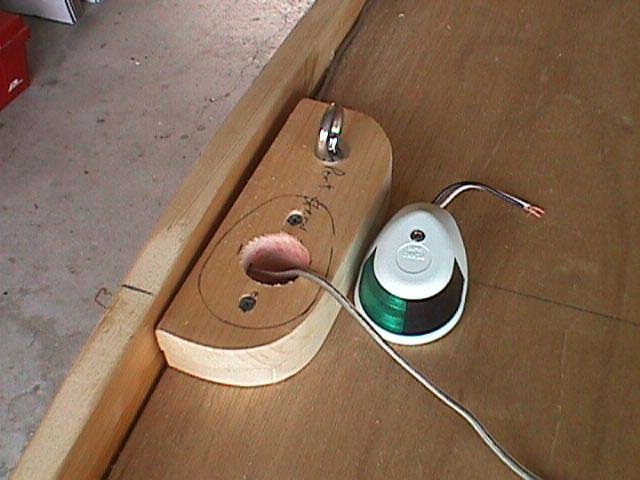 Wires have been run under the luan decking. West Marine has a tremendous inventory of boat supplies, boating equipment and boat related accessories. The boat on trailer. 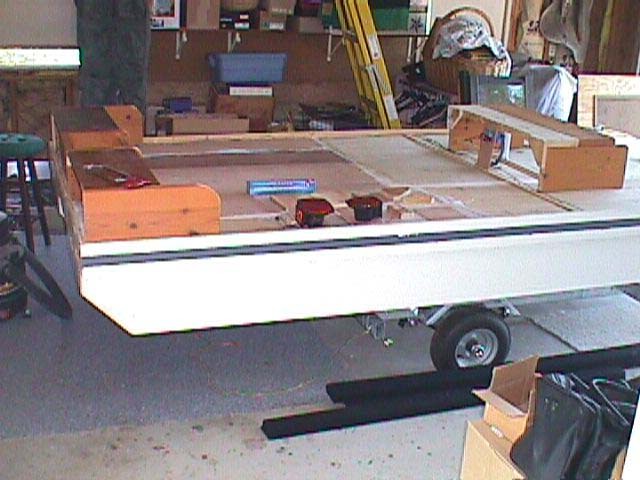 This is the dual watercraft trailer from Harbor Freight reconfigured to handle the pontoons. You can see the rear seats and the mid seat. 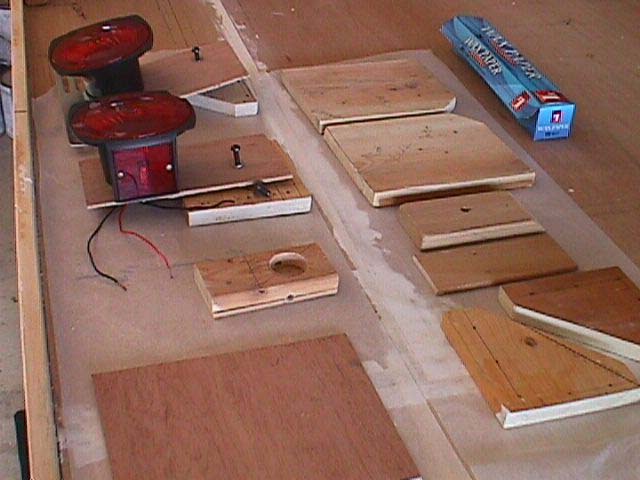 Here are some wood boat parts before fiberglassing. I used Evercoat 642 epoxy and Evercoat SeaGlass cloth. The tail lights for the trailer are attached tn the stern when trailering.